(PRWEB) September 10, 2008 — Brazil Botanicals has announced that the company is launching a new line of exotic juices to meet rapidly changing needs of today’s health conscious consumers. There is a big difference between sugar-laden, reconstituted fruit juices that are currently on the market and the authentic Brazil Botanicals’ Super Juices that contain 85% of the respective juice and nothing artificial nor do they contain added water. Customers believe that just any juice they buy will actually prove to be beneficial to them. Unfortunately, it’s not always true. Most exotic juices come from foreign lands, but since the pure juice is expensive to harvest, pre-process and ship, many juice suppliers cut corners in order to save money. Some companies subsequently add water, sugar, high fructose corn syrup, preservatives and even use reconstituted powders along with other inexpensive juices or fillers, thus diluting and adulterating their “pure juice” product. Some also do this to alter the taste of their juices as the “native” taste may not be to their liking. Brazil Botanicals offers their customers exotic juices that deliver a high concentration of the pure Super Juices and adds just enough pure natural juices to improve the taste without diminishing the potency of the juice. “Our customers are knowledgeable about the importance of consuming 5 servings of fruit everyday. Our exotic juices make that task very easy, fast, inexpensive and tasty all at the same time,” commented Dr. Tim founder and CEO of Brazil Botanicals. “People are tired of over paying for expensive exotic juices from network marketing companies and the diluted super juices found in many stores. Many of these juices contain less than 20% of the basic native juices.” Some super juice companies are run by marketing experts who have little or no knowledge or experience with the true science behind the miracle found in these fruits and therefore take little care in delivering high quality at great values. The reason the network marketing companies have to charge so much for their products is because of the nature of their business model. In order to be profitable they need to spend about 50% of their profits to pay commissions to their distributors. In most network marketing companies, only the top 2% of the distributors make any significant money, the other 98% keep the top 2% wealthy. Another new product concept that has recently surfaced is currently offering “Free Acai Berry Diet Pills”. They do not disclose the ingredients of their product. But if you read their terms of service and privacy policies carefully, you will recognize that they are really using a phishing scheme to collect customer credit card information to sell to other companies. They also lock their clients into expensive auto-ship programs, automatically charging the client’s credit cards every month. Their customers tell us that getting out of the auto-ship program is extremely difficult. If it looks like a scam, sounds like a scam and acts like a scam–it’s a scam. Beware! Taking pills like these is the least effective method of delivering health benefits to the body as compared to drinking the real juices themselves. Dr. Tim was concerned about this situation and decided to develop a product line that everyone could afford and benefit from without having to sell the products or fall victim to an internet phishing or auto-ship scam. As an important part of Dr. Tim’s studies includes visits to Thailand, China, Brazil, Hawaii, Samoa and Tonga where he meets directly with farmers and fruit suppliers to get the best quality fruit available at the lowest costs. He imports the fruit to St. George, Utah where he processes the fruit in a USDA and Kosher certified facility using his own Cryoflux technology to preserve the active enzymes, potency and taste of the fruits. Dr. Tim’s background in medical research, nutritional supplementation and formulation has positioned him to be an expert in this field. Dr. Tim has been able to keep his costs low since he controls his product from the farms to finished product. He enjoys traveling and meeting with the local farmers, processors and suppliers in each country he visits. His personal goal is to help sustain the generations-old farming lifestyles the local people use. The Brazilian, Asian and Polynesian rainforests are particularly vulnerable to uncontrolled forest clearing for cattle ranching as well as harvesting of valuable hard woods. Many who are clearing such rain forest areas ignore the devastating effect they are having on the environment by destroying indigenous plants. Dr. Tim is doing all he can to help the farmers preserve the harvest areas as pristine sources of beneficial organic and natural plants. Dr. Tim has a unique way of dealing with his customers. He makes certain that they are very happy with his products and services and immediately takes steps to assure that excellent customer service is provided at all times. He constantly asks his customers for ideas to keep his prices as low as possible. He speaks with customers daily and resolves problems immediately. “I love the acai juice! I have a problem sleeping and the acai juice makes me rest all night and I feel so revived in the morning. – Dee P.
“I want you to know I was delighted to receive my order in fewer than 48 hours after I placed it with you. Before I even opened the product, I was impressed. I have been using the product for two weeks now, and I am even more impressed. I will certainly be placing another order soon.” Sincerely, – Jennifer D.
After years of careful research and planning, the entire Super Juice line has been carefully formulated for purity, great taste, high ORAC content, and more. This attention to detail has favorably impressed thousands of customers in the relatively short time Dr. Tim has been in business. “Our goal is to provide high quality products at the lowest possible prices.” Dr. Tim indicated. In this new launch, Brazil Botanicals has carefully selected healthy solutions that integrate and deliver superior quality Super Juices from their native growing areas. They are then processed in high-quality, trusted USDA approved facilities, allowing the customer to be sure that Dr. Tim delivers his products with the highest quality and value attainable. For additional information about our Exotic Juice, please contact Dr. Tim Hollingshead, President & CEO, Brazil Botanicals by calling toll-free 1-877-362-8467 or by visiting www. 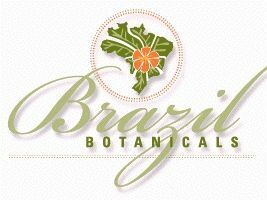 BrazilBotanicals.com. Brazil Botanicals (Acai, Goji, Mangosteen and Noni Juice. Besides being a top online retailer, Brazil Botanicals also offers wholesale pricing and private labeling opportunities within the US and to over 20 foreign countries. By offering the best and most affordable Exotic Juices on-line, customers have found Brazil Botanicals to be the preferred online source for truly healthy, natural fruit juices to support a healthy lifestyle. 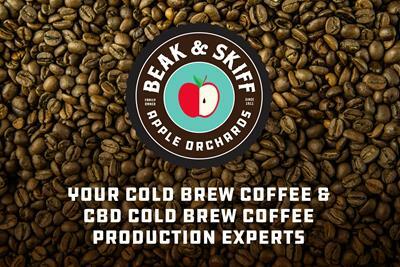 Brazil Botanicals is uniquely qualified to offer the lowest prices on Super Juices, to offer custom options, and their knowledgeable staff is ready to provide excellent customer service.